My absolute favorite thing to do on a late summer evening is to have some friends over, fire up the grill, and hang out in the backyard until the stars come out. 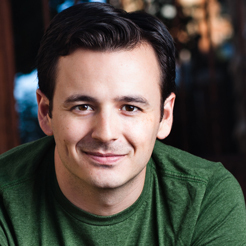 I’ve got my grilling game down to a science, and I can make a delicious meal in under a half hour to leave plenty of time for lounging and lawn games. Aside from the standard burgers and dogs, I like to spruce up the meal with some adventurous side dishes. 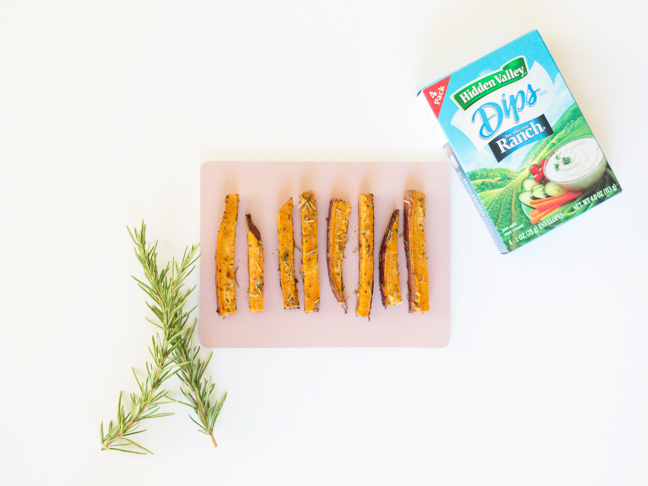 Typical sweet potato fries get a makeover in this recipe using some Hidden Valley Original Ranch Dips Mix and fresh rosemary. 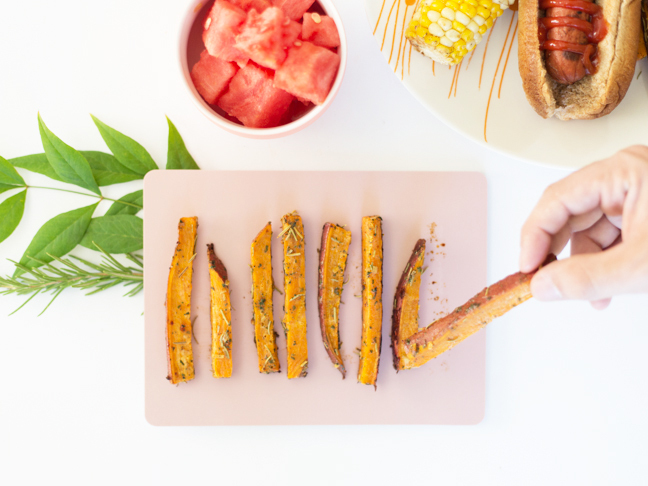 These rosemary sweet potato fries are so delicious, they might all disappear before the burgers are done! Step 2: Wash and prep your sweet potatoes. 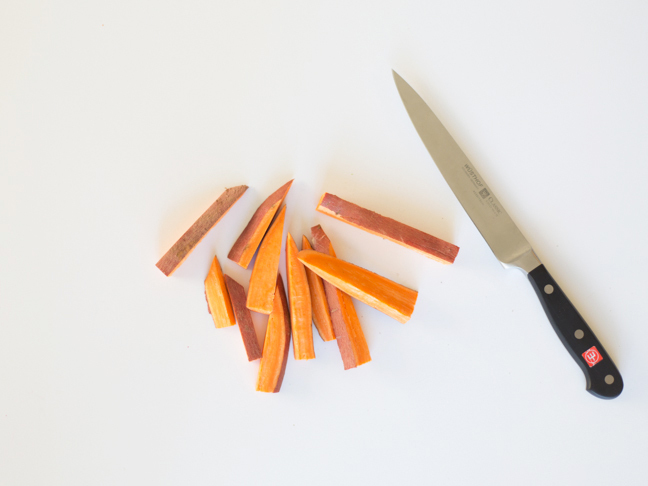 Trim off the ends and then slice them into fries. 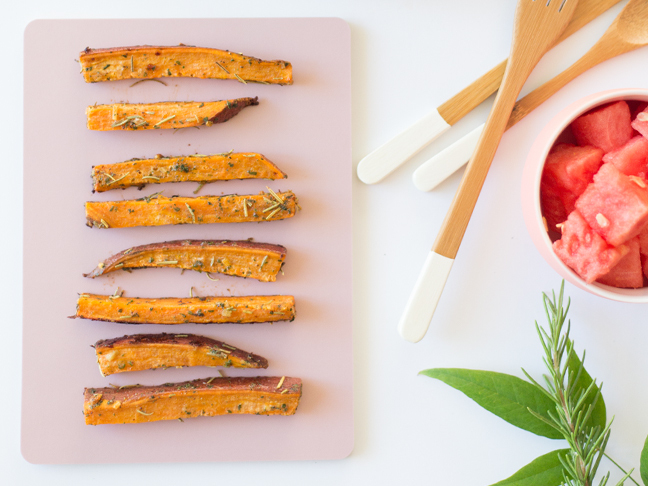 You can get about four servings out of a large sweet potato. Feel free to adjust the ingredients accordingly to make a larger batch. Step 3: Place your sliced potatoes in a large sealable plastic bag. 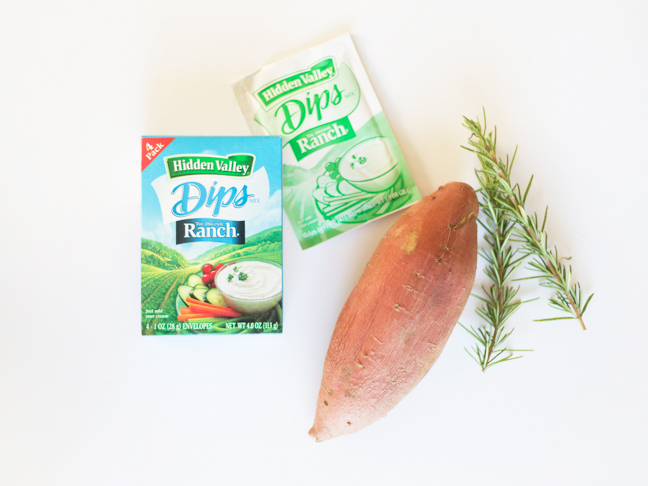 For 1 large potato, pour in 3 teaspoons of olive oil, 4 teaspoons of Hidden Valley® Original Ranch® Dips Mix, and 2 teaspoons of rosemary. 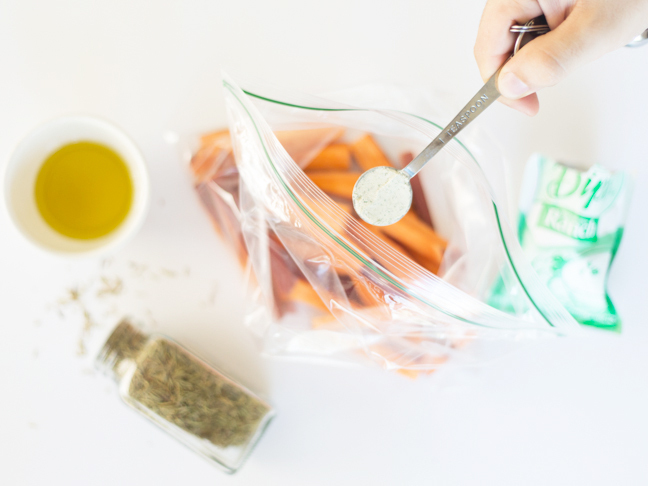 Seal up the bag and shake! 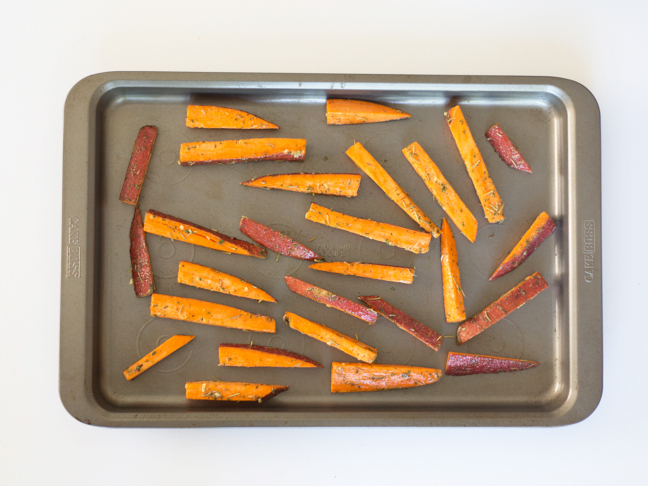 Step 4: Once you get your fries well covered with oil and seasonings, dump them out onto a baking sheet. Step 5: Bake at 350 degrees F for about 20 minutes. Feel free to leave them in longer if you want crispier fries, but be sure to flip them so they don't overcook on one side. Step 6: Serve them up with your favorite grilled meats. 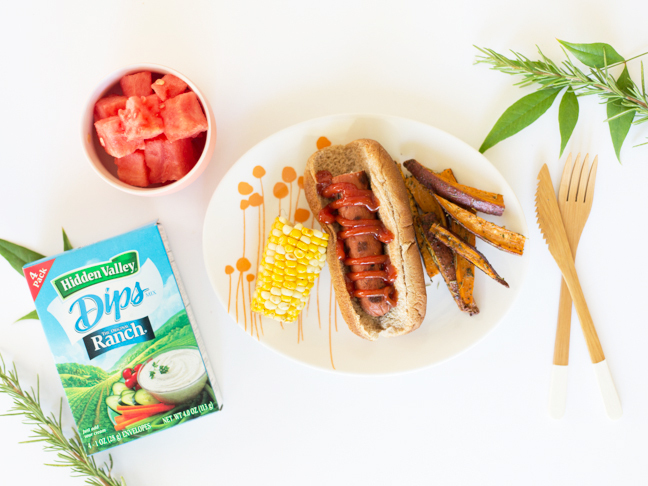 Feel free to mix up some extra Hidden Valley® Original Ranch® dressing to use as a dipping sauce as well!